The final guests for 2018 have rolled through with everyone leaving on a high note. This build up season had the lot! The variety in our Arnhem Land waters is incredible and whether you like baitcast, spin or fly fishing we’ve got you covered. 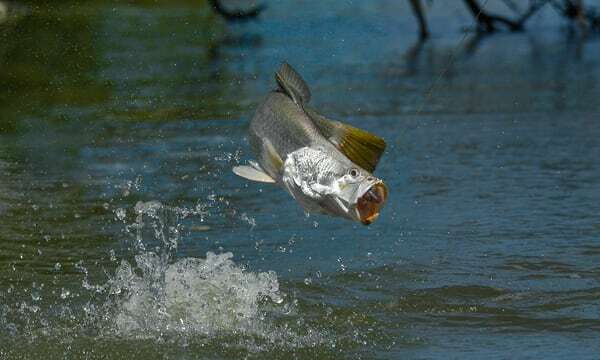 The Lodge is much more than boat loads of barra being caught and released but also includes a who’s who of just about every other tropical sports fish available in the Top End! Our guests tangled with cricket score barra catches, metre long barra, rampaging jewies and thumping threadfin salmon in the rivers and creeks. While out on the blue water it was a slug-fest of trevally, leaping queenies, massive mackerel, feisty tuna, tasty golden snapper and coral trout to name but a few. By the way, you should see the mud crabs we catch – they’re huge! It’s the awesome accommodation, the standout service and of course the delectable dishes created by our Lodge Master Chef Serge. Everything from the freshest of fishes, the magnificent mud crabs to the delicious desserts combine to make it one of Lonely Planet’s top 500 dining experiences in the world. All this washed down with a cold beverage and a spectacular Arnhem Land sunset…. it doesn’t get any better! Our spectacular section of coastline now sits un-fished until Runoff 2019, so there’s really only one thing to do: book your Runoff tickets now! A massive shout out to everyone who made it happen and made the season such an outstanding success. You know who you are. 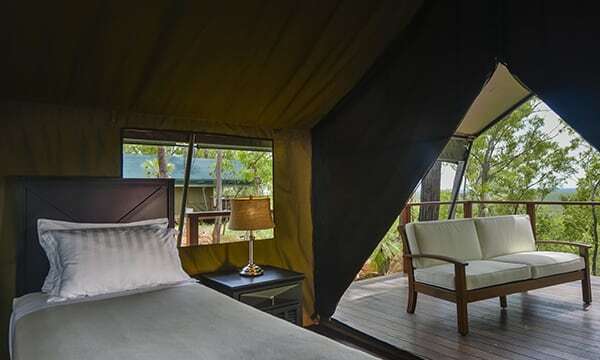 The lodge features 12 safari suites, each complete with luxury furnishings, ensuite bathroom, air-conditioning and front deck. 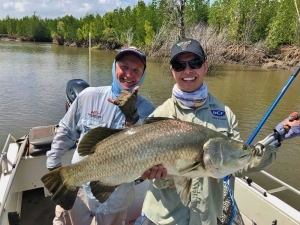 The remote and extensive waterways in this region have a well earned reputation for offering some of the best barra fishing in the world. 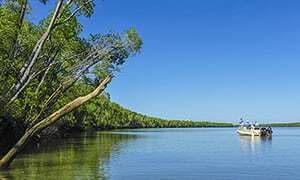 Located on the far north coast of the Northern Territory, Arnhem Land is the largest and most remote Aboriginal land reserve in the country.